Holy Cross Mercy School has a very active and ethusaiastic parents association, they are a valuable part of the school community and are vital in ensuring fundraising and organizing social and recreational events for the parents and pupils of the school. If you would like to become part of the parents assocaition please contact the school! All members are very welcome. Thank you to all who supported our Killarney Memory Tree Fundraiser. Below is some footge of the Memory Tree Launch. Lights will be available again next Christmas. 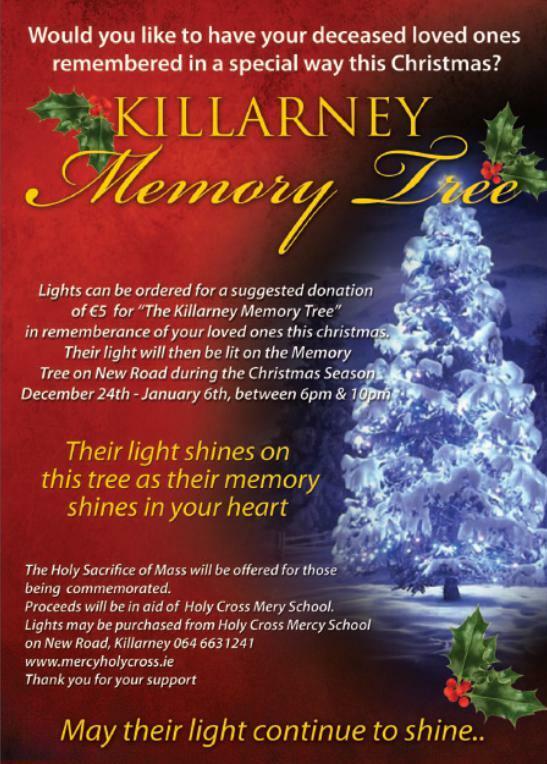 Contact killarneymemorytree@gmail.com for further information.